Good lord this a good pie. Like insanely must not eat all the filling with a spoon before putting it in the crust good. And crazy text my mother and sister-in-law as I’m licking said spoon to tell them how good it is and that they need to make it for Thanksgiving good. And why on earth didn’t I do this ages ago good. I have no idea why this recipe took me so long to piece together. To use the principals of my Key Lime Pie and Lemon Custard and apply them to the cooked-custard Vegan Pumpkin Pie from a few years back. 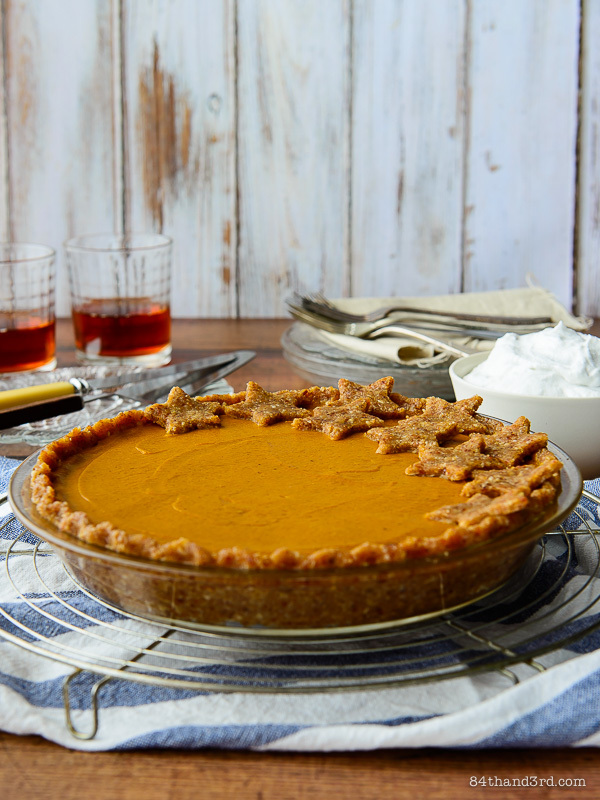 Now I’m not calling this a raw Pumpkin Pie because the pumpkin is cooked — however if you are a raw-food convert and have a blender capable of pureeing raw pumpkin, go for your life. While we’re on the topic of pumpkin, yes you can use the one from the can but once you make your own roasted pumpkin for pie you’ll never touch the tasteless canned stuff again. Really. You see, when I first moved to Australia there was no canned pumpkin here, and unless you stumble upon stuff imported from the US there still isn’t (thank goodness). As such, my foray into roasting pumpkin started on my first Thanksgiving in Sydney, because I had to have pie. So why no canned pumpkin back then? Well if Australians wanted pumpkin they steamed or baked it and served it for dinner — pumpkin sweets were simply unheard of. Now however, thanks to Australians’ obsession with American food combined with the total takeover of the internet by bloggers and magazines sharing pumpkin desserts for the entire second half of the year (not that there’s anything wrong with that), Pumpkin Pie has crept into the collective Australian consciousness and menus everywhere. Given, at an average of $10 – $15 a slice, you’re about a thousand times better off making it at home anyway. Not even kidding. Anyway, what was my point? 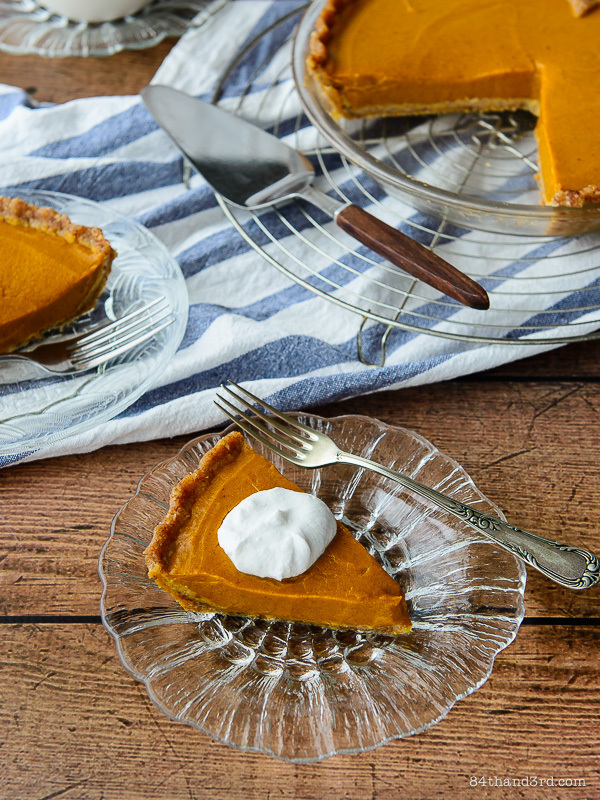 Oh, right — since that first roasted pumpkin pie I’ve never looked back. 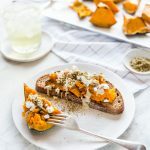 The method at the end of the recipe below is my favourite no-fail way to create sweet, caramelised roasted pumpkin puree with minimal effort. It makes a world of difference and I’d highly recommend giving it a go. 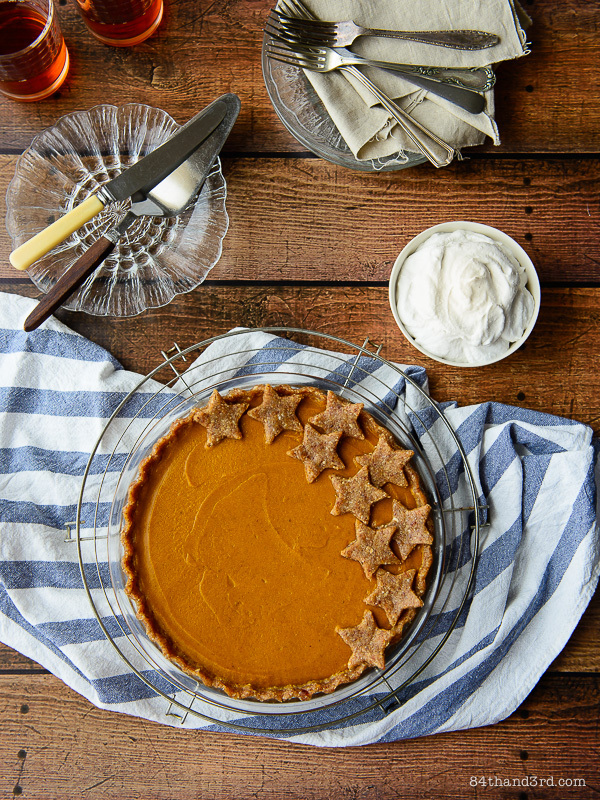 Ok, you’ve waited long enough so lets get to the recipe, and while I know pretty much everyone already has their Thursday pie-plans solidified this one is quite possibly worth making next week (or Saturday…) just because, and definitely for Christmas. To everyone over in America-land have a wonderful Thanksgiving and an extra serving of stuffing with cranberry sauce for me. I’ll be eating pie. I have no idea why this recipe took me so long to create, it is blindingly obvious and insanely delicious and barely made it into the crust as all I wanted to do was eat it with a spoon. If you can, go the extra step and roast your own pumpkin — it makes a world of difference. 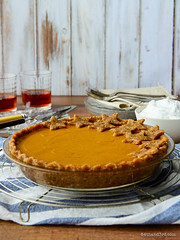 Prepare pie crust — pressing a raw crust into a standard pie pan or pre-baking a baked crust — and refrigerate until needed. Blend pumpkin and milk-type liquid until very smooth. Add remaining ingredients and blend again until well combined. Pour into prepared crust and refrigerate, for at least 4 hours or overnight, before cutting. Serve with Whipped Coconut Cream if you please. Milk-type liquid: I used almond milk but oat/rice/hemp/coconut or even dairy would work fine depending on your pantry and food avoidances. You could even use juice or water but milk adds a nice creaminess. Sweetener: you may need more or less depending on the sweetness of your pumpkin. Maple is sweetest, rice syrup less so, honey would probably overpower the pumpkin, I don’t use agave. In a pinch dissolve ¼ c rapadura or raw sugar in 2 Tbsp hot water to make a syrup. 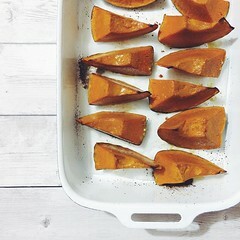 Slice a Jap (Australia), Kabocha (US), Pie Pumpkin (US) or Butternut into wedges and remove seeds. Rub cut sides with a bit of coconut oil and arrange, skin side down, in a lined roasting pan. 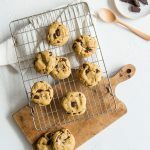 Cover with foil and bake at 180°C / 350°F for 45 mins. Remove foil and bake a further 15 mins or until crazy tender when wide part of a wedge is pierced with a knife. Cool and scoop from skin and don’t worry about the darker bits on the tips of the wedges, there shouldn’t be too many. Pumpkin can be roasted a day or two in advance and stored in the fridge until needed. Beautiful! A very happy thanksgiving to you, from one expat to another. 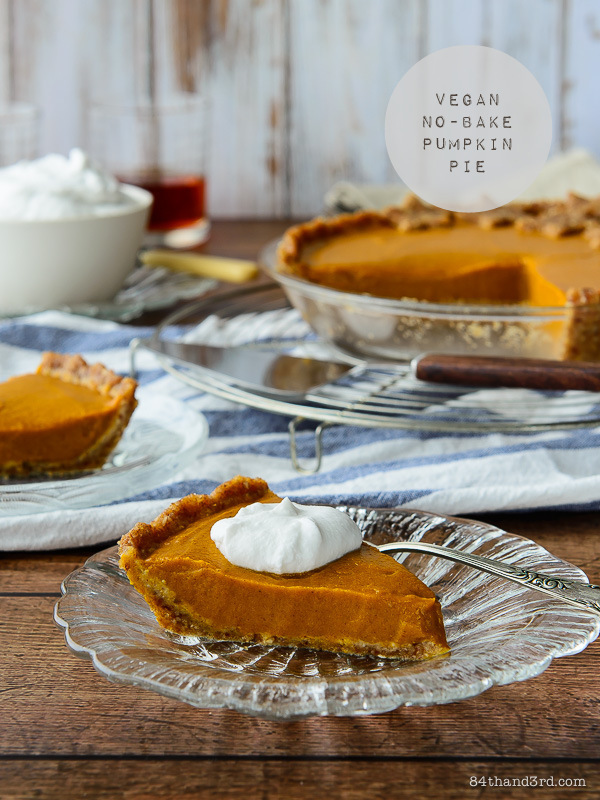 We had friendsgiving last weekend and another coming up this Sunday… might just bring this pie along with me! We did friendsgiving years ago but really must start again! Have a lovely time and let me know if you make the pie! 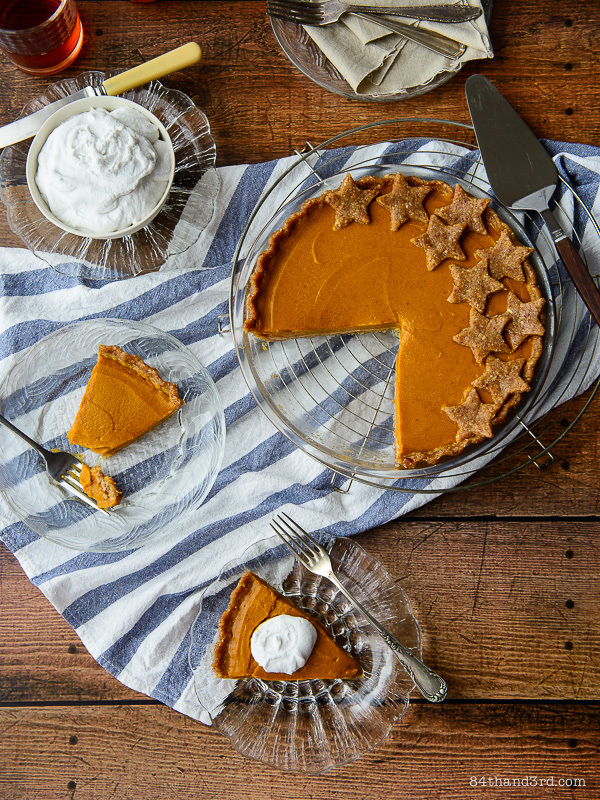 You can never go wrong with a classic pumpkin pie. 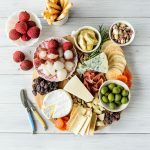 This looks SO delicious and I love that it is no bake! JJ strikes again! This looks fantastic. 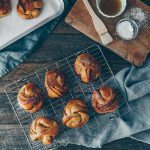 Another recipe you can eat for breakfast? It’s optional so you don’t have to use it.